“unwind” charted at #3 of the top 100 New Age CDs for the month of February, 2006 and was nominated for Best CD, Best Solo Piano CD, and Best Cover Art by New Age Reporter. 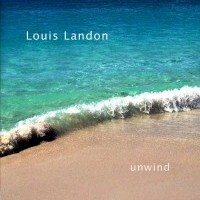 Louis is right on when he calls unwind “melodic, optimistic, and peaceful.” Though this New Age solo piano album is indeed meditative and mellow, it sacrifices no musical rigor to achieve those ends. 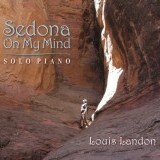 With backgrounds in jazz, Latin music, rock, pop, film composing, and classical piano (he’s accompanied Baryshnikov, among other artists), Louis brings his breadth and depth of experience to bare here. His playing and compositions are sensitive as they are complex and, even within the New Age aesthetic, a diverse range of influences is more than apparent. What inspired me initially was hearing the recorded piano sounds that PAUL HIRSCH was getting at ROSE’S LOUNGE STUDIOS. That led to five sessions of very creative composing, performing, and improvising. With the finished pieces of music I had no idea how to move forward. I was in new age music territory and I was too close to the music to put the songs in any kind of order for the CD. It was here that I had the good fortune of connecting with WILL ACKERMAN, new age guitarist and founder of WINDHAM HILL RECORDS. Will advised me on song order. He also encouraged me to take the time to edit out a short piece of music from a long improvisational piece that I had recorded. That song became “Majestic Sunrise,” and it is one of my favorite pieces on the CD. I ended up having CORIN NELSEN master my project at Will’s IMAGINARY ROAD STUDIOS. I am extremely happy with the results. 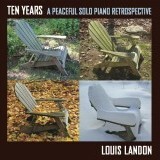 This music is melodic, optimistic, and peaceful. Enjoy! 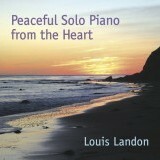 My personal mission in life is to create a peaceful world by writing and performing music from the heart.